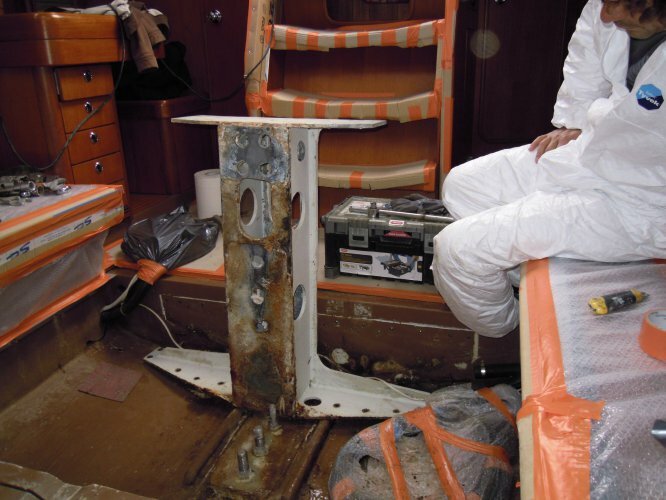 A few years ago, the steel frame inside Twilight, which holds the keel and on which the mast is stepped, started to rust. Although we painted the frame with epoxy, the rust came back from the bottom side as the bottom of the frame is not accessible. 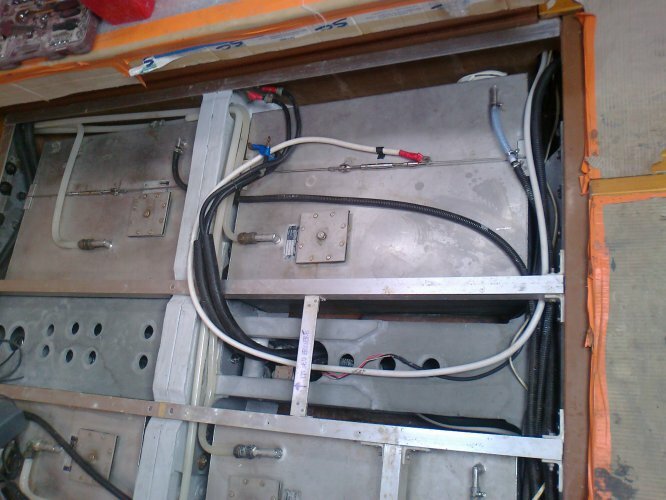 In order to handle the frame, we contacted Nautor to inform if the steel frame could be taken out and how we had to support the hull. From the moment we received a positive reply from Finland, we started to look around which yard could work on this project. After contacting Stratosphere, Laurent Von Saenger told us he had done this job before. This was an advantage and we decided to move forward last winter. 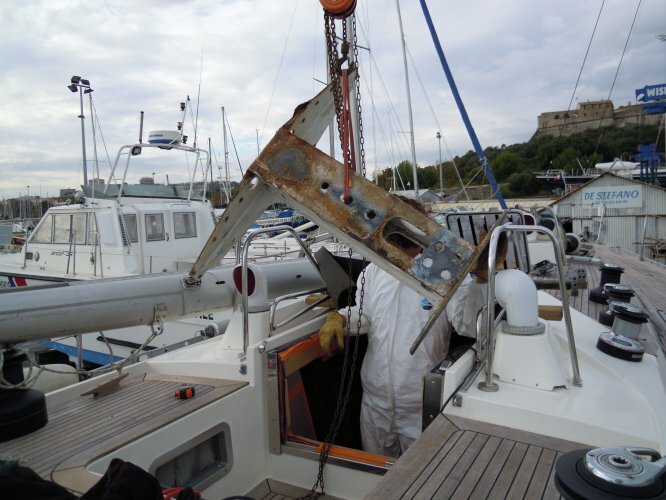 We delivered Twilight late October in Antibes, and Stratosphere started to dismantle the table, batteries, water tanks and aluminum supports for the wooden floors. 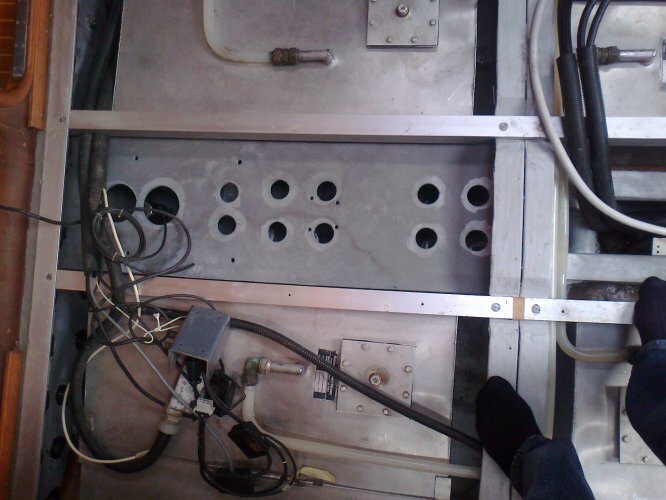 In a next phase the frame was dismantled by unbolting the keel bolts and the bolts in the polyester stringers. It is important to mention, that on some Swan 46 the frame is in one part while sister ships have the frame made up in two parts. 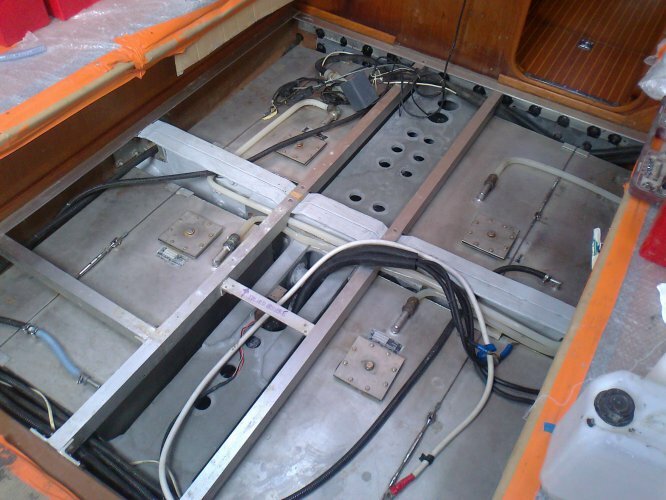 Latest is the case on Twilight which allowed Stratosphere to take both parts out of the boat. 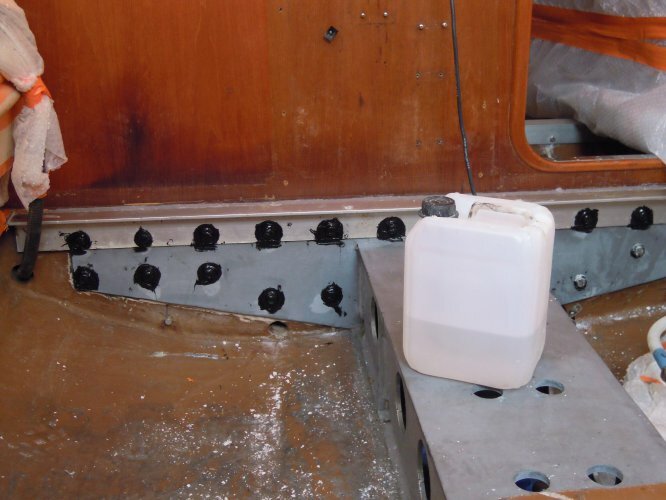 In case of a frame in one part, it is impossible to take the frame out of the boat and you need to treat the frame with epoxy paint inside the boat. 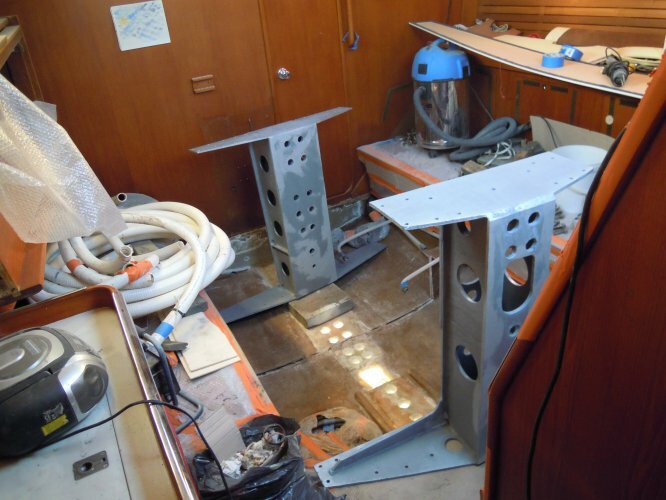 Once the frames were taken out of the boat, both parts were carefully sandblasted to make sure all rust was gone. 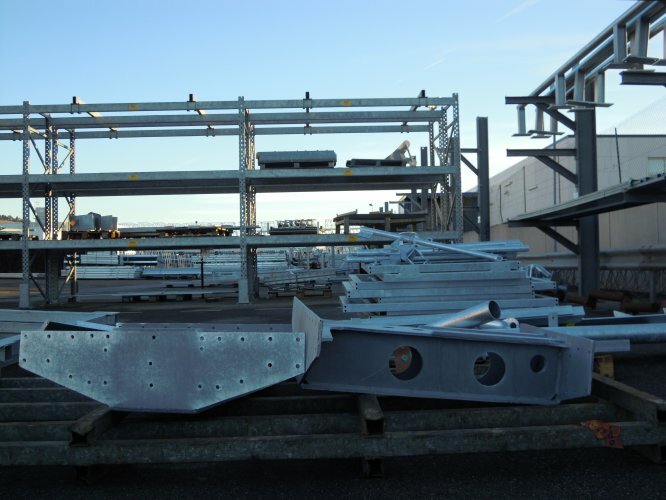 After this critical operation, we had the two parts shipped to a company specialized in galvanizing steel parts. 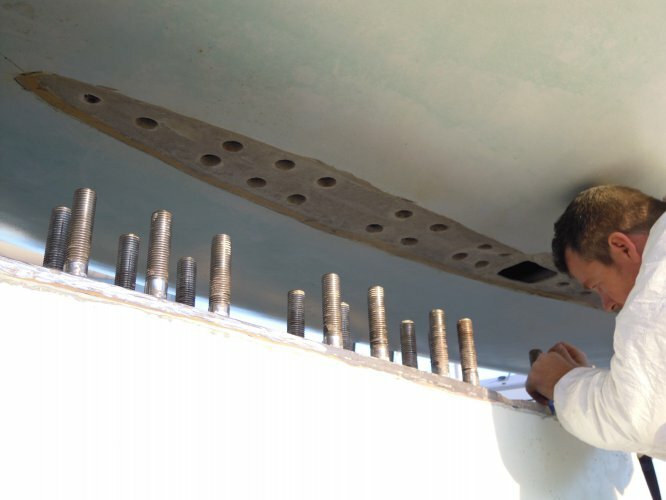 In the meantime, the hull had been lifted, all keel bolts were checked and a footprint of the keel top was prepared to allow for making of a new watertight joint. 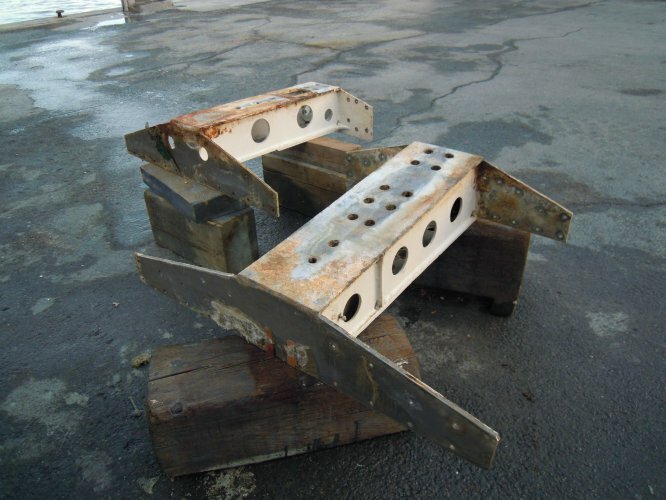 Once the 2 galvanized frames were back on board, reassembling of the frame and the keel could start. 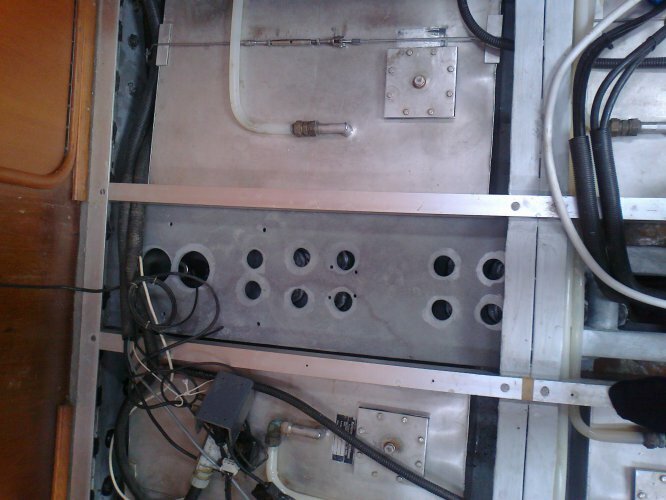 All keel bolts were greased and bolted in place taking great care not to damage the galvanized frame. 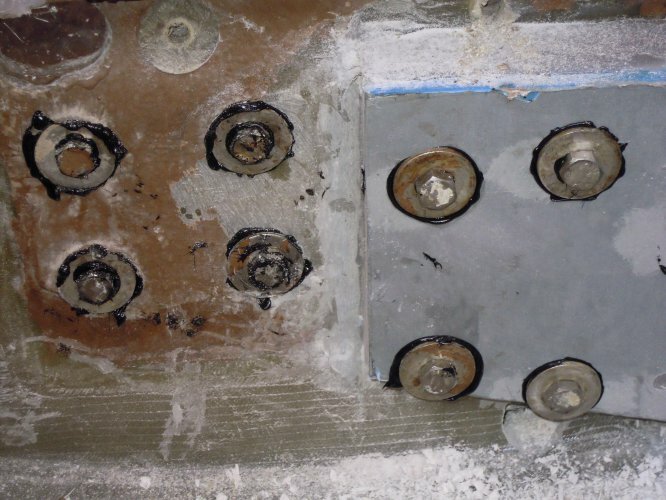 The bolts fitting into the stringers were treated with rubber before bolting them together. This was again done to avoid any damage to the newly galvanized frame. The polyester stringer in the center of the two frames, was laminated back in place to fix both frames one to another. 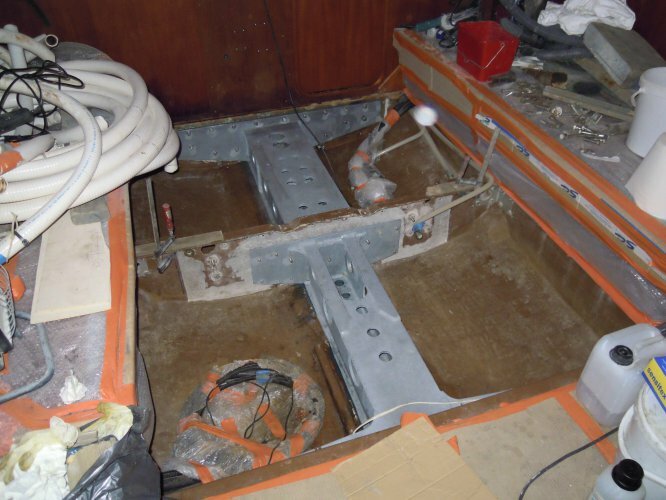 Finally the mast holding foot, water tanks, aluminum supports of the floors, batteries and table were put back in place. 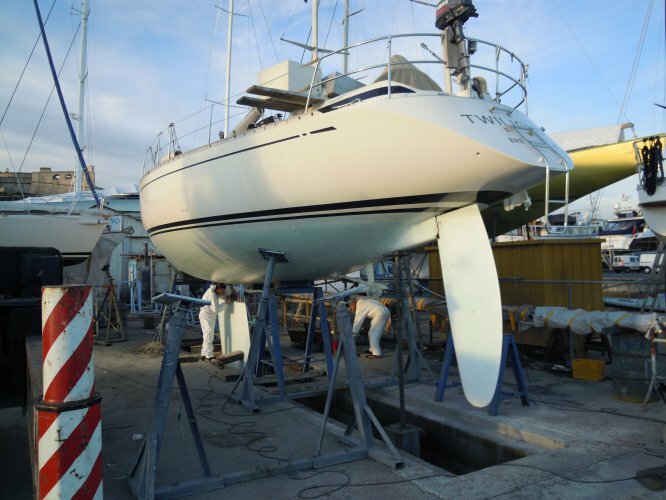 Early May Stratosphere launched Twilight and we set off to Italy in a strong Easterly wind. All went very well ! !